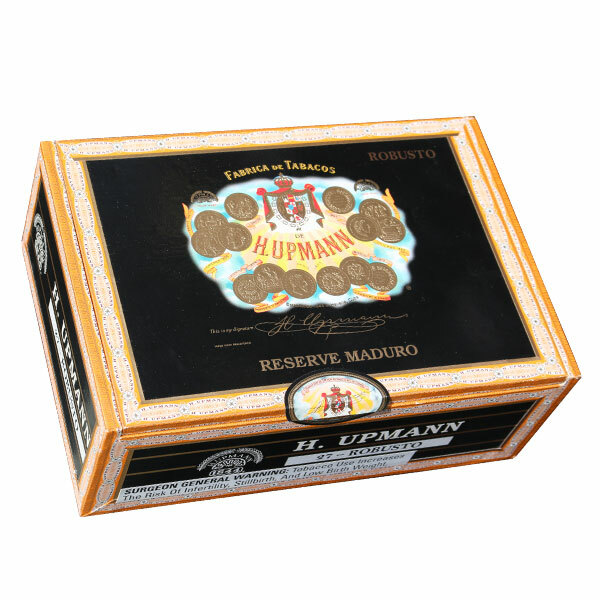 H. Upmann, one of the oldest Cuban brand names, has been released in this new Reserve Maduro. This cigar boast a beautiful maduro wrapper grown in the San Andres Morron region and is filled with a tasty concoction of Nicaraguan and Honduran fillers. This tasty medium bodied cigar provides a thick rich creamy smoke and offers hints of nuts and chocolate. A great new addition to the H. Upmann line. This cigar has become our favorite of the H. Upmann family. Try some, you won’t be disappointed.